What’s The Difference between Food Grade and Beverage Grade CO2 in St. Augustine, FL? Many restaurants, food service and other industry professionals often wonder if there is a difference between food grade and beverage grade CO2 gas in St. Augustine, FL. The two gases are sometimes mistakenly used interchangeably throughout the industry including some gas suppliers. However, beverage grade and food grade gas have different levels of purity. And the difference between the two grades is similar to drinking unfiltered vs. filtered water. Since beverage grade has a higher purity level, drinks have a cleaner taste without a sulfur residue. According to the Compressed Gas Association (CGA), Food Grade CO2 gas which is known as CGA Grade H conforms to the Food Chemical Codex specification. The food grade CO2 specification requires the gas to have a minimum purity of 99.5 percent. On the other hand, Beverage Grade CO2 (CGA Grade I) conforms to the International Standard Beverage Technologists (ISBT) specification which requires a minimum purity of 99.9 percent. The difference may seem minimal, but food grade gas can have up to ten times the amount of impurities than beverage grade. As a result, beverage grade CO2 is our minimum standard. 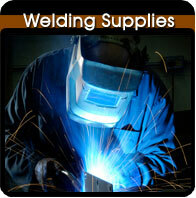 In addition to providing high quality beverage grade CO2 gas to restaurants and bars in St. Augustine, FL, we provide welding gas and delivery services as well. 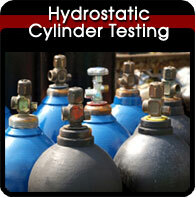 We also provide hydrostatic testing services for fire extinguishers, scuba tanks and other gas cylinders to ensure there are no leaks and they are in good operating condition. In fact, our high standards and commitment to safety is why we are the preferred supplier for many commercial and government clients including those in the aviation and fire-rescue industries. 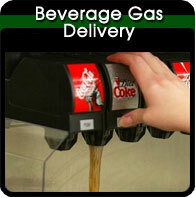 For beverage grade CO2 gas delivery in St. Augustine, FL, contact us at (386) 957-3809 or visit us online today!